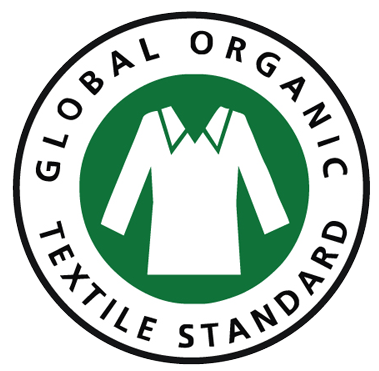 As supporters of ethical manufacturing and Fairtrade, we often look to see which of our products we use and consume daily follow the same principles we do. Here we will be introducing you to two colas you may or may not know about; which set the standard for giving back to the communities that make their products possible. Introducing Karma & Ubuntu Cola! Karma Cola is a brand of cola from New Zealand who love to give back to the people that made their cola possible with the Karma Cola Foundation. They started in 2010 with the original Karma Cola and their range now includes lemonade, ginger ale, orangeade and a diet cola too. Karma Cola’s cola nuts are supplied by small villages in Sierra Leone, a country that has been heavily troubled by a ten year civil war and a recent ebola outbreak which has torn communities apart with a real need of re-building. A key principle of the Karma Cola Foundation is that it isn't aid, it's trade. They believe the best form of support and economic independence is an equitable commercial relationship and mutual respect between both parties ensuring that they can grow and succeed together. This inspirational video shows how Karma Cola are helping the communities in Sierra Leone directly. You can buy Karma Cola online from Ocado and Waitrose. You can also get it on more ethically thinking high street stores and coffee shops. We recently got ours locally at Boscanova in Bournemouth. PS. We thought we’d mention that Karma Cola tastes great too! Ubuntu Cola are proud to be the first Fairtrade cola to go on sale in the UK in 2007 and have been making great tasting ethical cola since. Ubuntu literally means humanity and compassion in Zulu. By sourcing Fairtrade sugar from around the world, Umbutu are part of a global community. “Community means looking after each other, and that’s why we pay a fair price. As well as a Fairtrade minimum price and good working conditions, Fairtrade farmers receive an additional premium. This can be put towards the development of the farmers’ communities by setting up schools, buying medical supplies or building new infrastructures. For the last few years, in co-operation with Vagamondi, Ubuntu has helped build several much-needed wells each year in villages surrounding the KCG co-operative. Ubuntu Cola is available in a variety of stores all over Europe. Check their website for a stockist near you. We got ours from Mundo Fair Trade Gifts in Christchurch. KNOW ANY OTHER BRANDS WORTHY OF A SHOUT OUT?